Tom Crane is an up and coming lawyer in Atlanta. His father is killed in a boating accident and Tom needs to return to Georgia to close up his father’s law office. Prior to his leaving for Georgia, Tom is released from his position at the law firm without much explanation and his girlfriend breaks up with him. With no job and no girl to hold him back Tom leaves for Georgia to stay with his great uncle Elias. Back in his hometown Tom sees best friend Rick and his wife (Tom’s ex-girlfriend) Tiffany, along with Rick’s Dad Arthur who owns a large financial company. They all encourage Tom to stay and reopen his father’s law practice. Tom gets an offer from a company in Georgia as well and is conflicted in what option he may take. While cleaning out his father’s office he finds an empty folder and some clues that lead him on a trail to Mr. Addington, the man who was in the boating accident with his father. Rose Addington is settling her father’s estate and Tom confides in her the suspicions he has found on an off shore banking account with a large sum of money in it. Suspicions range from Mr. Addington and the Sr Mr. Crane as being conspirators to a fraud operation. Neither Rose nor Tom believes that could be as both of their fathers were Christian men and lived their lives accordingly. The trail of deceit runs back and forth between Tom’s father and Mr. Addington, to corporate people involved Pelham Financial, to the head owners at Pelham, to Tom and Rose being in on it. The novel weaves a web of twists and turns in conflicts and resolutions, the very best resolution being Tom accepting Christ as his savior and that transforming Tom into a different man. 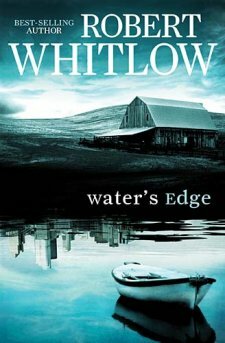 Robert Whitlow is one of my favorite authors, having read many of his novels, I did enjoy this suspenseful legal story. It isn’t my favorite of his works, but it is still top notch! I received a copy of this novel from BookSneeze in exchange for an honest review. I had not heard of Whitlow before...thank you for sharing!